The year is 1968. After several years of making movies without personal appearances things are about to change. 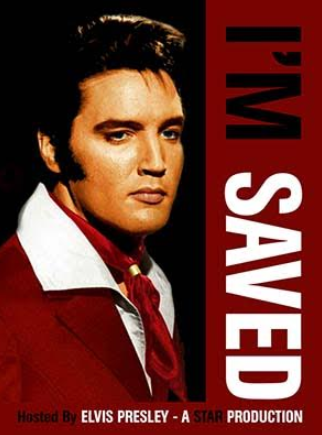 This new release is purely fictional and presents Elvis Presley’s Comeback Special in a totally different way; Elvis is hosting his own TV Special and tells his side of the story. Elvis talks about his career, first record and Hollywood. His personal life, tragedies, future plans and God, giving you an intimate look at his life and career in a way only he can. Including rare footage and home movies , original clips from the movies, and some cool vintage commercials from 1968! (Yes, the Big Mac also has its 50th anniversary!) Presented in "True” widescreen for the first time! Not stretching out Elvis body or face, but all shots individually repaired for the best result! The opening is sensational and has a FULL version of Trouble/Guitar Man, including Elvis' footage from the Discotheque, Supper Club, wearing Black leather as well as the original version all edited to perfection! After the first "Elvis Speaks" part the show starts with some of his first Sun Records; That’s All Right, Trying To Get To You and Tiger Man get the special really started! The gospel section also has been re-done including rare alternate footage and performances. All songs have been re-edited. We already can hear all the critics...."Why include the boring commercials” .. but it is part of the idea of recreating something in a way as if it is 1968 and this special was shown on TV, including commercial breaks. Don’t worry.. you can skip them if you like .. but we advise not to do this the first time you watch it. Sit back and relax, and let Elvis take you on a musical journey through his Life. You’ve all heard the stories... Now hear the true ones from the man himself! Strictly limited to 500 copies. Whether you are a Star fan or not, one must admit that they do their homework on their projects and try to be original. I know from personal experience that it is not easy to come up with something new or creative with comparatively little footage to work with as compared to other artists. I expect the usual critics will say otherwise on this forum but I am tempted to buy this one.